Rashmi is an engineer by profession and a hobby artist. She likes working with a variety of media on different facets of art, such as still life, portraits, nature drawing, free hand drawing and designs. 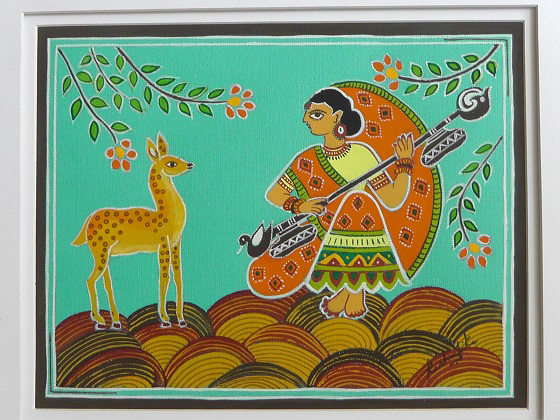 What she enjoys the most are the Asian Indian tribal art forms “Warli” and “Madhubani,” which she took up some years ago. She teaches art to kids and also provides instruction to interested adults in the two folk art forms in Shrewsbury. She is a member of the Silk Road Art Guild in Worcester and enjoys participating in local events such as fundraisers, exhibitions and art shows.